That one big idea isn’t corporate tax avoidance – though one might be forgiven for thinking so. It’s Foreign Direct Investment, or FDI. As we’ve shown, FDI into Ireland, and the so-called “Celtic Tiger, was primarily not driven by tax and corporate tax avoidance. Really, it wasn’t. Now Fintan O’Toole, one of Ireland’s best known commentators, has written a profoundly important article in the Irish Times, which should resonate far beyond Ireland’s shores. (hat tip:@sorleymccaughey) We’ve borrowed its headline: US taxpayers growing tired of Ireland’s one big idea. “Even when it became more and more obvious that tax avoidance was an alluring aspect of Ireland’s charms, we could rely on three things to protect us. First, who didn’t love Ireland? We were a little throwback country where everybody’s ancestors came from. Second, the vast majority of Americans knew as much about corporate tax avoidance as they knew about hurling, so it wasn’t a political issue. And third, corporate power was largely unchallenged – both Democrats and Republicans did what the giant corporations wanted, even if that was against the interests of their own voters. We’re not in Glocca Morra any more – we’re the land of the corporate inversion. If you listen to talk radio in the US, Ireland equals Pfizer plus Allergan minus a vast amount of taxes that should be paid in the US. Corporate tax avoidance is now a huge political issue, feeding directly into the insurgency of Bernie Sanders and indirectly into that of Donald Trump. And this is forcing the government to stand up to the corporations: President Obama’s effective blocking of the Pfizer/Allergan deal is a resonant moment. These shifts are, moreover, rooted in something deeper, he continues. Read on: it’s a terrific, short article. There is actually a reasonably simple way out of this for Ireland. As O’Toole (and we) note, the so-called Celtic Tiger was not about corporate tax rates (or even tax shenanigans). Ireland tried to be a tax haven from 1956 onwards – and failed dismally for most of the time. 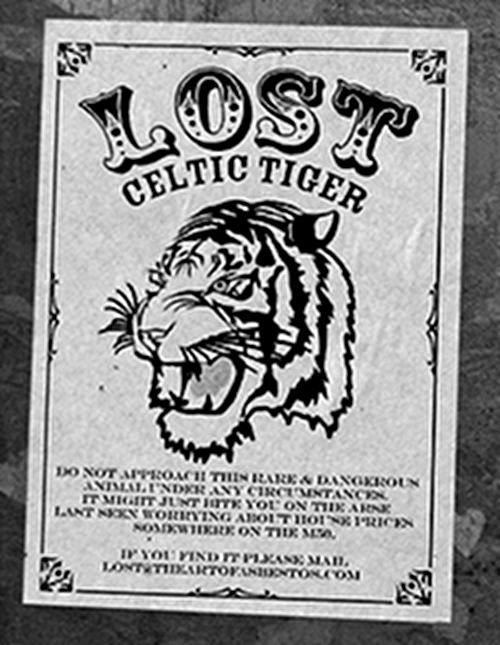 It was only in the early 1990s with Ireland’s accession to the EU single market came along that the “Celtic Tiger” suddenly and dramatically appeared. If it wasn’t about tax then, it doesn’t need to be about tax in the future. Ireland should scrap all the hated corporate tax haven nonsense and start to make its way responsibly in the world as a friendly, much loved, English-speaking green and pleasant gateway to the Eurozone. And if Britain leaves Europe, it may be the only English-speaking place left. Ireland is not the first country to have to reinvent it’s own economic model, and it won’the be the last. Consider how much worse the position is for oil and gas states like Russia or Saudi Arabia. The important lesson is to begin early and use cash windfalls to grow a proper competitive economy based on knowledge skills and sustainable technology. Being on the edge of Europe doesn’t have to be a block to global markets in the new era. Consider how Iceland has developed its economy in spite of geography. The worst mistake is to imagine the gravy train will go on for ever and so fail to invest. Jersey now finds the game is up but it has lost all industry, tourism, and even agriculture. Will now be very hard for them to come back.